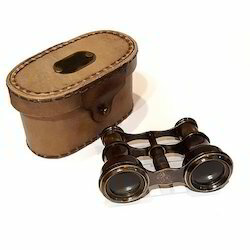 3-inch brass binoculars with handle / leather is a pocket sized nautical treasure. 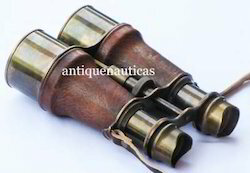 the small brass binoculars measure 2 5/8 inches (6. 7 cm) to 3 1/2 inches (8. 9 cm) in length depending on focus, and are 3 5/8 inches (9. 2 cm) wide. Available in brass finish, black antique finish, nickel plated finish, full brass or with leather.